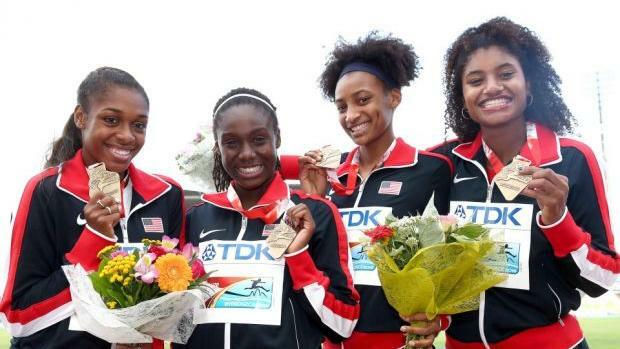 This past week was golden for Team USA at the IAAF World U20 Championships in Bydgoszcz, Poland. With 21 total medals, including 11 golds, the U.S. matched the 2002 and 2014 teams, and the 11 golds equal the second-biggest haul ever behind only the 13 won in 2004. The medal-total record for any nation at the IAAF World U20 Championships is 22 (Soviet Union - 1988). Scroll through the slideshow to watch interviews with every medalist sporting the red, white and blue this week.